Kohler® Command Pro EFI Propane Engine with 60" (152 cm) TURBO FORCE® deck. 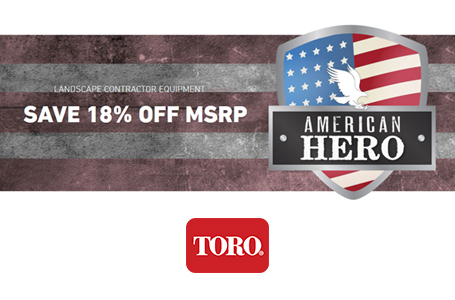 Exclusive TURBO FORCE Deck: High-capacity TURBO FORCE decks deliver unsurpassed strength, a superior cut, and increased productivity in extreme mowing conditions. Equipped with a patented adjustable baffle, TURBO FORCE decks can be fine-tuned in order to conquer changing turf conditions. 7-Gauge, High-Strength Steel: The TURBO FORCE deck is constructed of 7-gauge, high-strength steel which is 33% thicker and 32% higher in yield strength than ordinary 10-gauge commercial steel used in 7/10 decks. The combined effect is 75% stronger, so it easily handles the most demanding conditions and resists damage from impacts and abrasion. Industry's Toughest Spindle Assemblies: Toro's rugged spindle assemblies survive impacts that would destroy lesser spindles. A stout cast iron housing with a massive base and six mounting bolts absorbs impact loads and distributes them across a broader area of the deck shell. Plus, the solid, one-inch diameter shaft is alloy steel, not the common lower-grade steel used in many competitive models. 72" Deck will have tapered bearing only. A Flat Crisp Cut with Precision Blades: (.250) thick precision blades resist flexing to provide a flat, crisp cut. High-strength, heat-treated alloy steel survives impacts and provides resistance to the rapid wear commonly associated with abrasive conditions. Options include Recycler® and Atomic® mulching blades, medium sail Bahai blades, and low sail sand blades. Deluxe Suspension Seat: Deluxe suspension seat features thick cushions, large bolsters and 3-D isolator mounts that absorb bumps and vibrations to reduce operator fatigue. Rubber Discharge Chute: High performance rubber discharge chute allows for close trimming without damaging chute or landscape structures. Patented design provides exceptional clipping dispersion. Smarter design in a bull-nose bumper. : 7-gauge bull-nose bumper not only protects against frontal impacts, but also contains an integral underskirt to minimize blowout of debris and dust. The bottom, leading edge of the deck is raised 1/4" (6 mm), allowing grass to stand more upright when entering the cutting chamber, ensuring a level cut. Leaf "plowing" during spring and fall clean-up also is significantly reduced. Patented Adjustable Baffle: Allows operator to achieve maximum cutting performance by fine-tuning deck to conquer changing conditions, unique job sites or different times of the season. In extreme conditions, the baffle can be opened in order to conserve power and achieve faster mowing speeds. In less demanding conditions, the baffle can be closed to yield micro-sized particles and maximize discharge velocity. Smooth, Powerful Response: The new unitized pump and wheel motor use proven commercial hydraulic components while eliminating hoses and other potential leak points. You'll get a smoother, faster response while enjoying an even more reliable machine. Folding Rollover Protection System ROPS: A Rollover Protection System (ROPS), complete with seat belt, comes standard for operator protection in the case of accidental rollovers and tipovers. In situations where sufficient vertical clearance is not available, such as loading on an enclosed trailer, the ROPS can be temporarily unlocked and folded down. Operator Information Center: The instrument panel includes a digital hour meter, fuel gauge, and voltage meter, as well as diagnostic indicators for the safety interlock system. Convenience and Comfort: Operator controls are conveniently located. Large 1-5/8" (4.1 cm) diameter steering levers increase comfort and reduce fatigue. Handy storage compartment provides location for cell phone, tools, and more. Built-in cup holder provided. E-Z Vac™ DFS Collection System: Quiet and powerful, the Toro E-Z Vac™ collection system is spindle-driven and offers quick conversion between bagging and side discharge without tools.The horizontal blower impeller is positioned parallel to, and above the mower deck creating continuous airflow from deck to collection system. The Dump-From-the-Seat (DFS) features allows you to dump debris in only seconds - without ever having to leave your seat! 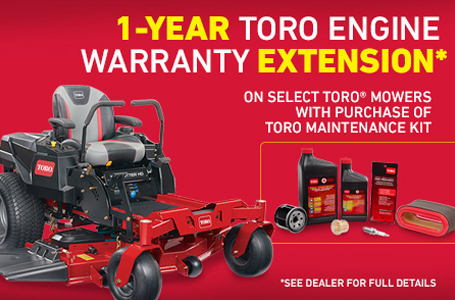 E-Z Vac Twin & Triple Bagger Systems: Toro® Z Master® E-Z Vac™ Twin and Triple Baggers deliver the convenience and versatility essential to landscape professionals' productivity. The no-tools, quick-release design allows you to remove the collection system with ease, making it a snap to alternate between bagging and side-discharge. Light Kit: The lights easily mount to the mower frame and wiring quickly connects to the existing accessory circuit. Operator-Controlled Discharge Chute: Landscape friendly rubber discharge chute provides complete control of clippings. with three discharge settings, from wide open to blocked, the OCDC will put the clippings where you want them and not in beds, streets, etc. The integral design allows the discharge chute to remain in place and on the machine, reducing the risk of personal injury and property damage. 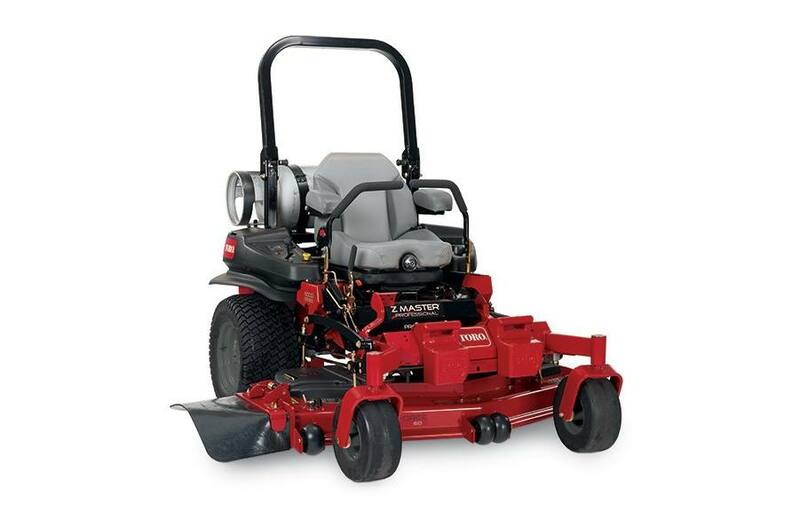 Optional Blades: In addition to the high sail blade, which comes standard on Z Master® Z590 Series mowers, additional 1/4" (6 mm) blades are available to match regional and seasonal mowing conditions. Options include Recycler® and Atomic® mulching blades, medium sail Bahai blades, and low sail sand blades. Recycler® Mulching Kits: Recycler mulching kits deliver the industry's finest mulching performance and reduce mowing time up to 38% vs. bagging*. *Respondents in a Texas A&M University study cut their lawns 38% faster when they didn't bag. Roller Striping Kit: Roller striping kit is easily installed and provides a premium "ball park" after-cut appearance. 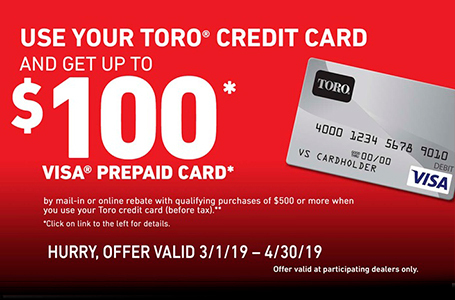 Toro Z Stand: Exclusive Toro Z Stand provides an on-board tool to simply elevate the front end of the machine and provide access to the underside of the deck. The gross horsepower of this engine was laboratory rated at 3600 rpm by the engine manufacturer in accordance with SAE J1940 or SAE J2723. As configured to meet safety, emission, and operating requirements, the actual engine horsepower on this class of mower will be significantly lower.